Deputy police minister Bongani Mkhongi says community members cannot afford to show criminals any mercy. 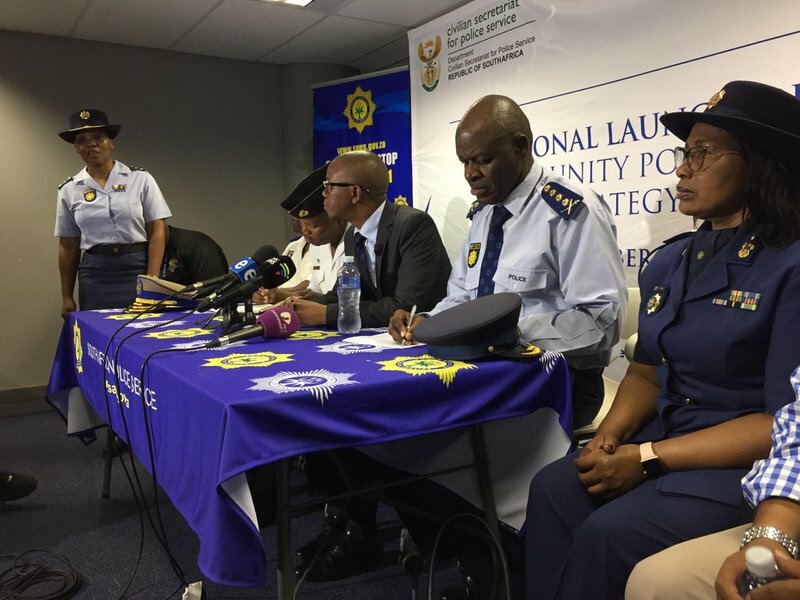 Mkhongi addressed the media at Dobsonvile Stadium on Saturday, along with National Police Commissioner Khehla Sitole. The police launched the Community Policing Strategy and Community in Blue concept in Soweto. “I said we have a collective enemy and that collective enemy is crime, criminality and criminals. And we must be merciless to criminals. This thing of being merciful is a problem, why must be merciful with people who are merciless towards ordinary children. When a criminal is dead it’s an issue, and when it’s a law enforcement person its quiet, here in this country. Our people are hypocritics,” he said. The community policing strategy will make use of the community and Community Policing Forums (CPFs) in combating crime. “The Community Policing Strategy is an issue of the communities and our people on the ground. That is why we are saying that if the CPFs are there as vehicles and instruments and coordinate this particular strategy, they are community policing forums. We are embedded in this strategy with an understanding of building people’s organs for people’s power. Because community policing is a people’s popular programme for people’s power to take back control of their own communities and make sure that our people on the ground squeeze the space for criminals but expand the space for our women, children, the elderly and the people with disabilities to go and walk on our streets with peace,” he adds. Sitole says it is important to build trust between the community and CPFs, to make sure that both sectors are able to work together in fighting crime.